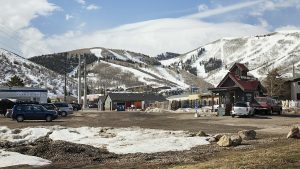 It might be time that the politicians get involved in some fashion in the dispute between Park City Mountain Resort and the Talisker Land Holding, LLC-Vail Resorts side. The idea was mentioned in a recent report issued by a Wall Street analyst who tracks the publicly traded Vail Resorts. The analyst report was one of several written after the 3rd District Court judge presiding over the case recently issued rulings that heavily favored the Talisker Land Holdings, LLC-Vail Resorts side. The Evercore report briefly touches on the idea that politicians could become involved in what would be an effort to move the sides toward a settlement. "At some point, we would expect pressure from local politicians to resolve this issue — disruption to Park City’s ski season would surely be economically disastrous for the town," the report says. 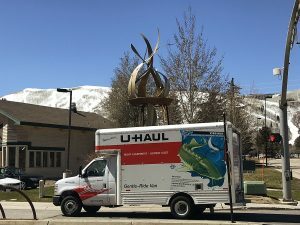 Political leaders in Park City and Summit County have largely separated themselves from the lawsuit over the two-plus years of the litigation. Dana Williams, the mayor of Park City when the case was filed, said little publicly about the lawsuit. Mayor Jack Thomas, who took office in January, has also rarely broached the topic publicly. Members of the Park City Council, meanwhile, have avoided saying much about the case as well. The mayor and City Council appear to want a resolution to the case, but they have not offered hints about the detailed result they desire. City Hall staffers have had only a peripheral role, most notably a declaration by City Attorney Mark Harrington outlining the municipal government’s role in the approval process of major zoning or development decisions that involved PCMR or United Park City Mines and the affiliated Talisker Land Holdings, LLC. Staffers have also considered the impacts on City Hall finances if PCMR did not open for a ski season based on the lawsuit or if it operates for one year using only its lower terrain. The City Hall financial modeling was conducted on behalf of the municipal government rather than one of the parties in the lawsuit. The PCMR side has said there is a danger of the resort closing or operating on the lower terrain. The mayor on Tuesday said putting political pressure on the parties "begins to distort their negotiation." He mentioned the consequences of the case and said both sides have an interest in ensuring the 2014-2015 ski season is not disrupted. "Business and logic, I believe, will prevail," Thomas said. He also said City Hall does not "have a legal footing in this." The lawsuit centers on PCMR’s lease of Talisker Land Holdings, LLC land that underlies most of the resort’s terrain. The PCMR side filed the lawsuit in the spring of 2012. Claims have included that the lease was renewed and it was refused a right of first refusal when the landowner reached an agreement with Vail Resorts to operate the Talisker corporate family-owned Canyons Resort. The deal could be extended to include the disputed terrain at PCMR depending on the outcome of the case. PCMR has said it intends to appeal the recent decisions. One point in the PCMR case — that Talisker Land Holdings, LLC could have informed the resort that the leases expired sooner than it actually did — remains intact. An important hearing is scheduled on June 19. Topics are expected to include whether the judge will allow Talisker Land Holdings, LLC to evict PCMR from the disputed terrain. The PCMR side controls the base area, the lower terrain, water rights and the parking lots, further complicating the situation. 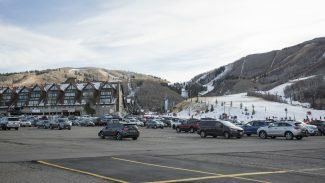 The Evercore report, headlined "Time for Vail to Prevail," mentions the PCMR side’s control of the base, the parking lots and the water rights. It acknowledges that the PCMR side has said it will not sell those assets. "However, despite a public ‘scorched earth’ approach to MTN, we would expect mounting pressure for the two sides to reach a compromise; closing or significantly disrupting access to the mountain would likely have a very negative impact on the local economy," the report says, referring to Vail Resorts by its ticker symbol, MTN. The report says the "chances are good" Vail Resorts will operate the PCMR terrain by the ski season of 2015-2016. "Longer term, we believe MTN could explore combining Park City and the Canyons," the report says.